Copper is one of the most important metals in the construction industry. SANCO copper pipes are particularly in demand for the installation of gas, water and oil pipelines. Contrary to widespread opinion, copper is also available in sufficient quantities for future generations. This is due not only to the still considerable global resources, but above all to the high recycling rate of old copper products. 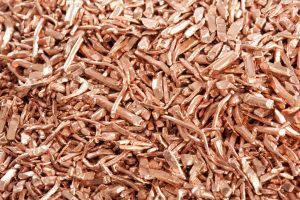 Copper can be used in many different ways and has numerous advantages. The material is diffusion-tight for gas and oxygen, lasts the lifetime of a house and is also convincing due to its good corrosion resistance and simple processing. Copper plays an important role in the construction and equipment of buildings. Ecological considerations are also becoming increasingly important in the field of building services. More and more building owners are looking for a healthy balance between economic factors and the use of sustainably produced building materials. SANCO copper tubes offer a vivid example of this, because they convince not only by their longevity, but also by their good price/performance ratio. The recycling process makes particular sense because copper can be recycled 100 percent as a raw material. The share of recycled copper amounts to a total of approx. one third of total world production. For the recycling process, the materials must be pre-sorted according to their respective degree of purity. If the material is pure, it can be directly recycled. KME Germany GmbH & Co. KG, as one of the largest manufacturers of SANCO brand copper tubes, uses copper from recycled old stocks for a large part of its production. Certification takes place via a special product declaration (EPD – Environmental Product Declaration). 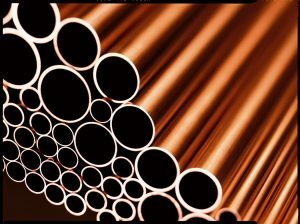 The range of SANCO branded copper tubes comprises three types. The hard and semi-hard versions are available in bars and the soft version in rolls. The SANCO brand name copper tubes, which are manufactured with a high level of quality depth, can be combined with all technologies commonly used in domestic plumbing. Copper offers a wide range of applications in architecture and building services. The products are characterised by highest quality, durability and sustainability. The good quality is guaranteed by national and international certifications. Copper products also offer a high degree of safety and are completely harmless to health.